Let the Ukrainian Lessons Podcast Season 2 begin! 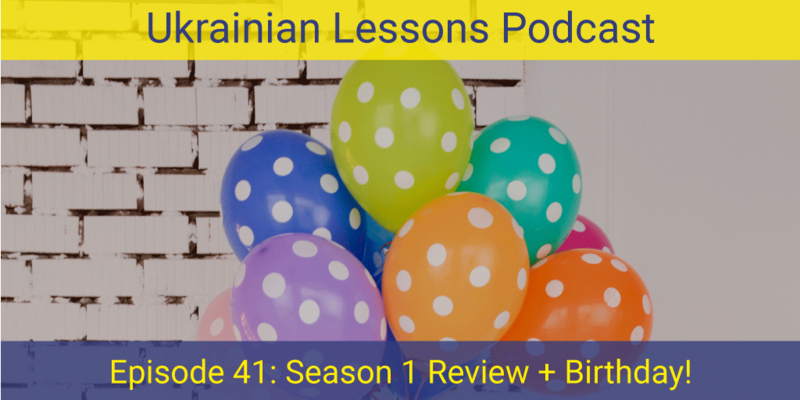 In its first episode, start getting used to more Ukrainian language on the show, review the previous material, and learn about birthdays in Ukraine! Ви готові? Вперед! learn more about the birthdays in Ukraine! Vocabulary List: new words from the episode in a one-page chart with English translation. Private Community on Facebook for the free practice of Ukrainian!